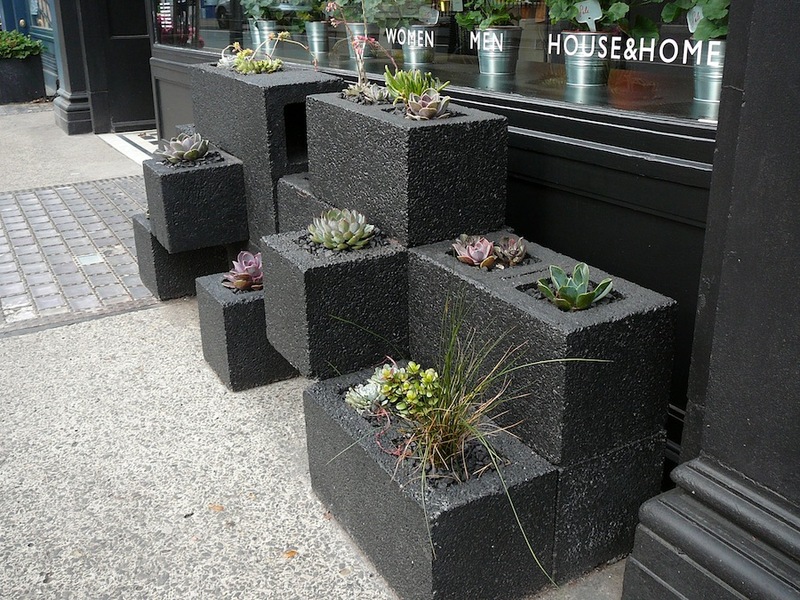 On my recent visit to London, England while strolling down hip, off-the-beaten-tourist-path Marylebone High Street, this simple yet eye-catching modern planter gracing the storefront of TOAST, constructed of painted cinder block, caught my eye. 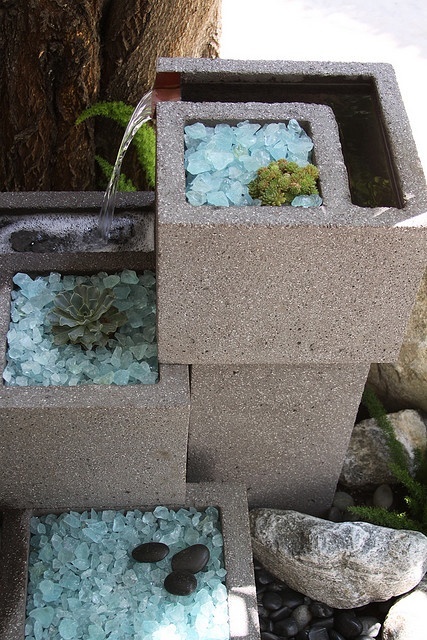 Straight-forward enough to make with some liquid nails, gravel, soil, some mesh or other blocking material for the open bottoms, and easy-to-care for succulents and ornamental grasses, this thrifty design would be at home in any urban garden. Here are a few other designs I found about the ‘net’, each taking a bit of a different twist on this usually utilitarian building material – integrating fencing, benches, water, or highlighting the graphic mortar lines. 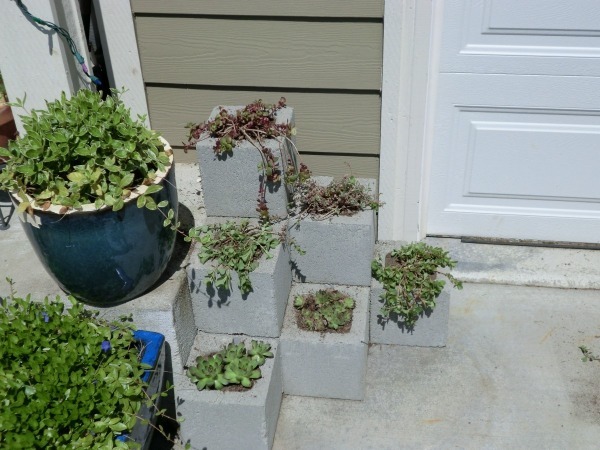 Certainly easy enough to tackle as an end-of-summer outdoor project. 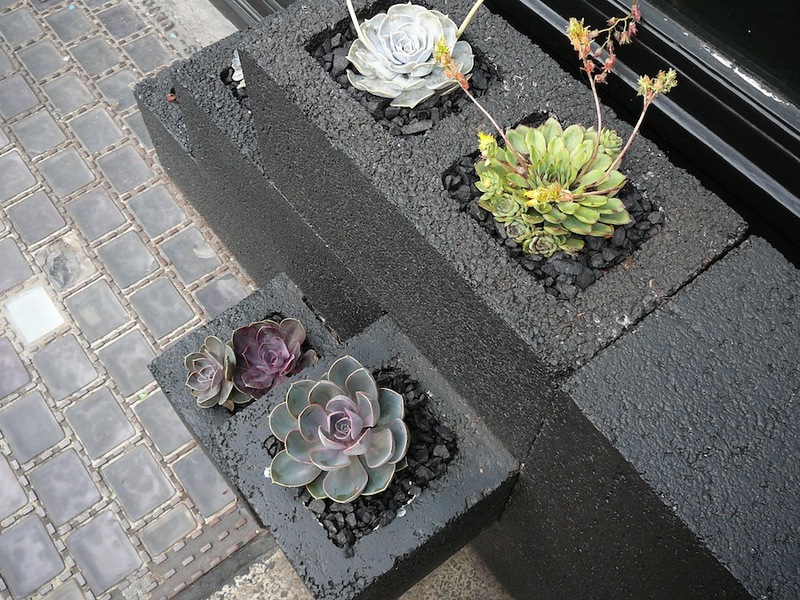 That first one is quite unexpectedly elegant for being made from cinder blocks. 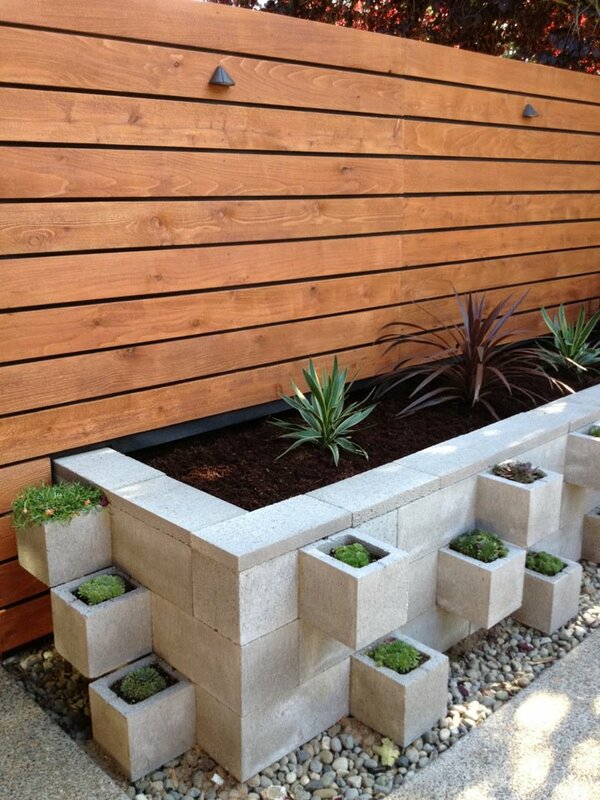 Indeed, incredible what can be achieved with a basic building product. Hope you’re well and are having a great summer, Corinna! Hi, I really like this.What kind of paint would you use? Would I need a primer? 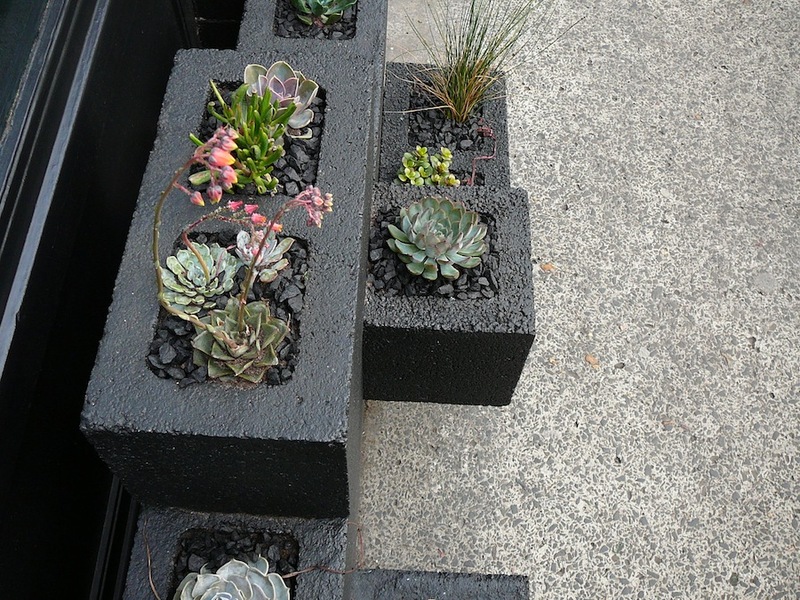 Great ideas for one’s own home can come from anywhere – even just walking down the street! Such a good question for you to ask me as a couple of my social media and design clients are paint brands (http://www.cil.ca/ and http://www.dulux.ca). 😉 Using tri-sodium phosphate (TSP) and a scrub brush, clean the surface, as any oil or grease will bleed through the paint. Use ready mix concrete to patch any holes if the concrete blocks are older or damaged. When completely dry, prime the surface with a high-adhesion primer. 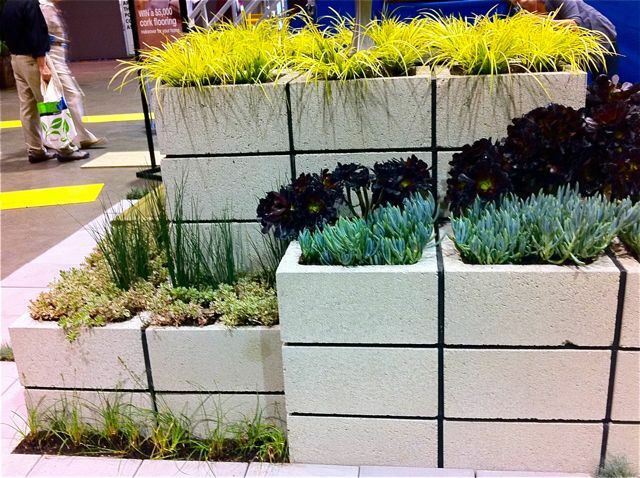 Creative Do It Yourself Cinder Block Projects For Your Home - Homesthetics - Inspiring ideas for your home.